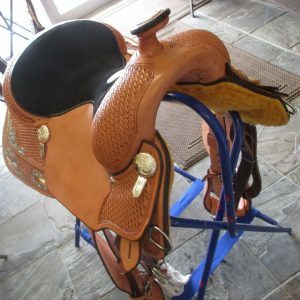 This is a beautiful premium leather saddle . 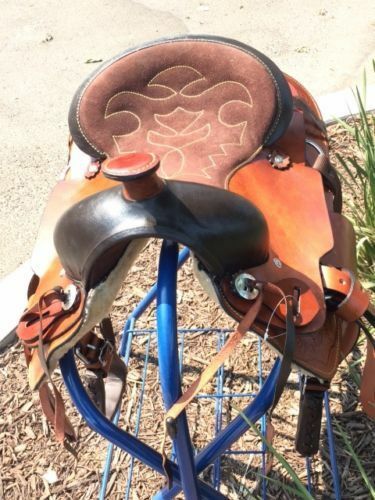 The saddle weighs (20lbs) . 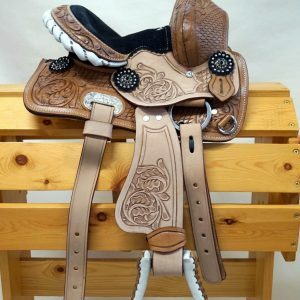 Saddle is made of heavy leather. 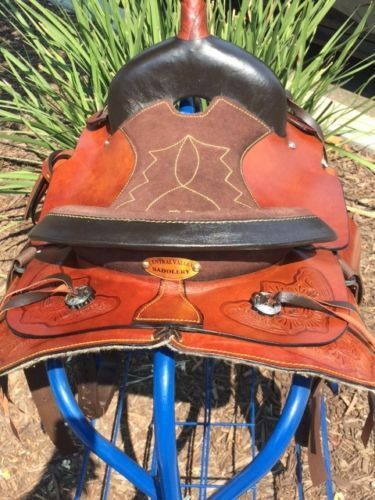 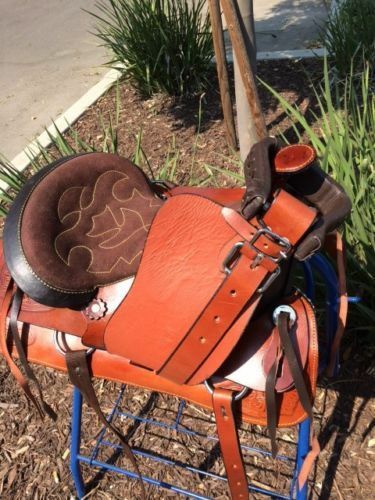 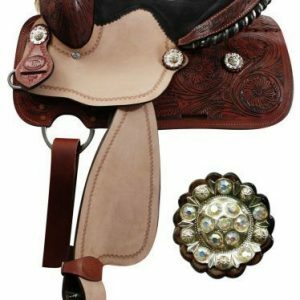 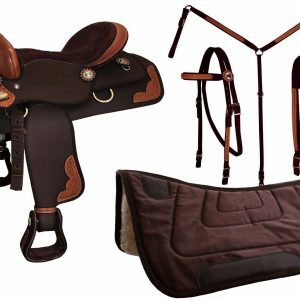 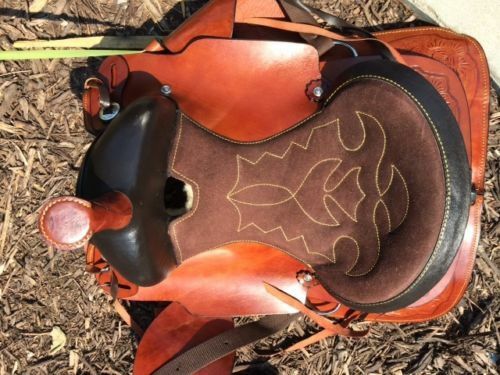 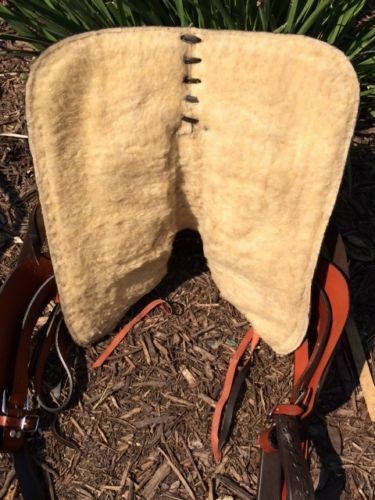 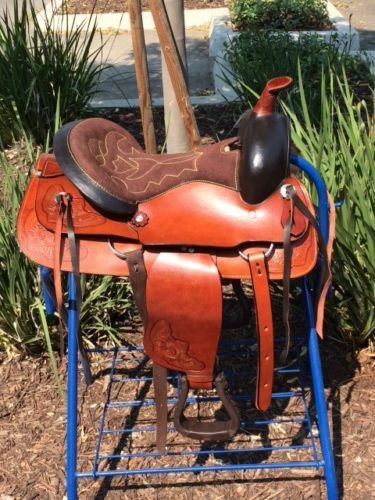 13″ Youth Double T barrel saddle with fully tooled pommel, skirts and cantle.